I use MS Word for a lot of my writings (though I’ve come to dislike it intensely for more mathematical work). Cross-referencing Figures and Tables is a great time-saver, no matter how short you think the document will be, and how confident you are there will not be additional figures plopped into the middle! Rarely have I regretted the microseconds it takes to click Insert > Citation, and then Insert > Cross Reference. Recently I’ve started using LaTeX for my more mathematical writing. Although I’ve been using MS Word + MathType for 15+ years, the frustration of bad typesetting, and the difficulty in changing formatting globally got too much for me. I’m using TeXStudio with MiKTeX in a Windows 10 environment (one step at a time…I’ll get to Linux eventually!). 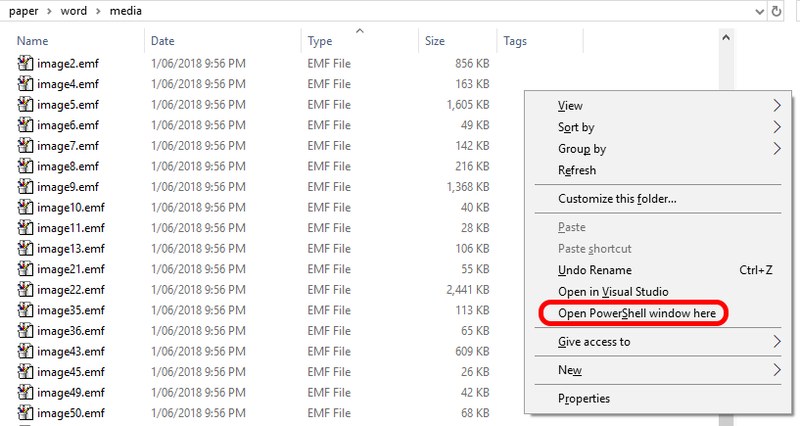 As a postgraduate student supervisor, I make changes to text quite a bit, and MS Word’s Track Changes is very good for highlighting these changes. A tool to accomplish this in LaTeX is LaTeXdiff. Now, of course, since the LaTeX world is free, things aren’t quite as slick and user-friendly for installing as paying $100s for M$ products. So, to get LaTeXdiff up and running, took a little bit of effort, so here’s how I did it. However, not one of these worked for me in totality, and parts of the above were unnecessary, hence this post. This was a bit trickier to accomplish, and took some experimentation. 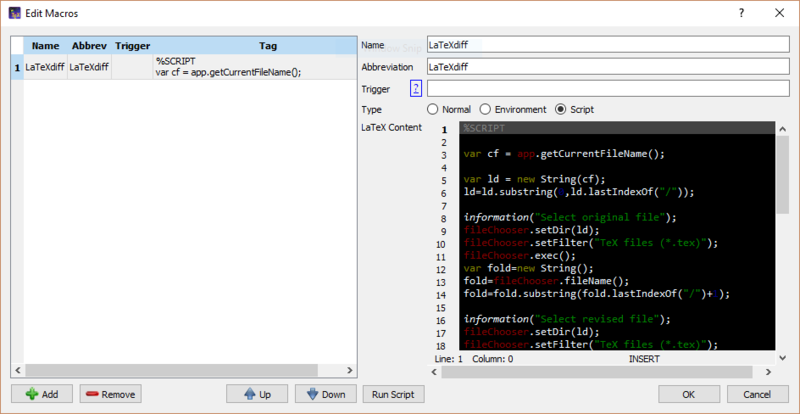 In TeXStudio, go to the menu Macros > Edit Macros... and add a new macro, calling it whatever you want (e.g. LaTeXdiff). Set, the macro as a Script style, and paste in the following script, which is also available to copy from PasteBin. Most of the script is for the user dialogs. At the end, it prepares a command line string, which TeXStudio executes in the shell. The stdout is then captured in readAllStandardOutputStr() and written to the diff file in the local directory. 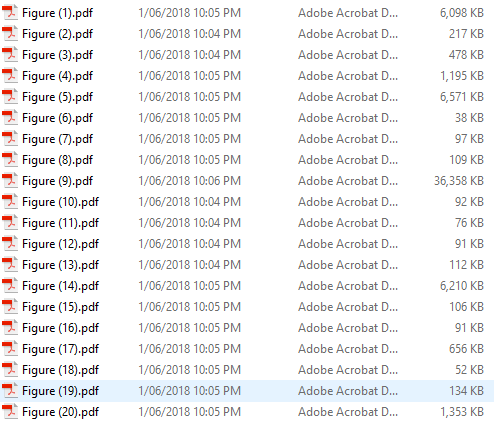 The diff file is then compiled and the PDF displayed in TeXStudio viewer. Prof. Brian Uy, University of Sydney, will give a lecture to the Insitution of Structural Engineers, Republic of Ireland Regional Group on recent advances in steel composite structures in Australasia. Prof. Uy has extensive experience in conducting the research and developing the latest codes of practice for composite structures in Australasia. He is the Chairman of the Standards Australia Committee BD32 on Composite Structures and a member of BD90 on Bridge Structures which have recently completed new standards on Steel and Composite Structures for buildings and bridges respectively. 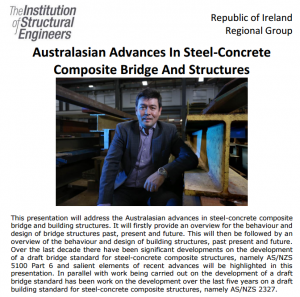 Prof Uy has been the Chairman of the Australia Regional Group of the Institution of Structural Engineers (IStructE) since 2012 and the Australian Group of the International Association of Bridge and Structural Engineering (IABSE) since 2015. So this website disappeared for a while, as you may have noticed. In July 2013 I moved to Australia, to the Department of Civil Engineering at Monash University in Melbourne – see me here. It’s been a very busy time since then, and the website got lost in the mix. I’m really pleased to have sorted it out now, and look forward to posting regular updates on all things engineering, bridges, and teaching, as in the past. I also moved host to allow for unlimited bandwidth, and so this means I can continue to share my lecture notes. In the past I had to stop this because of massive download traffic! 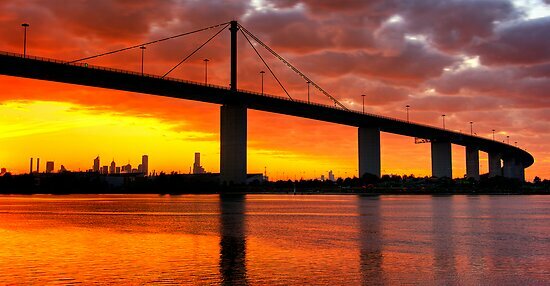 Here’s a pic of the West Gate Bridge – probably the most famous bridge around Melbourne. In a way, this is why I’m here!